I’ve been back for a few days, but have failed to post a trip update. It could be that I had a hard time adjusting to the time difference and have been going to bed at 8 pm, leaving little of the evening to blog. The trip was amazing, crazy, insightful and hard all at once. The streets are busy, crowded with people, and hot. There is always activity and this is coming from someone who lives in New York. But coming back to New York, I found my city almost calm and peaceful. 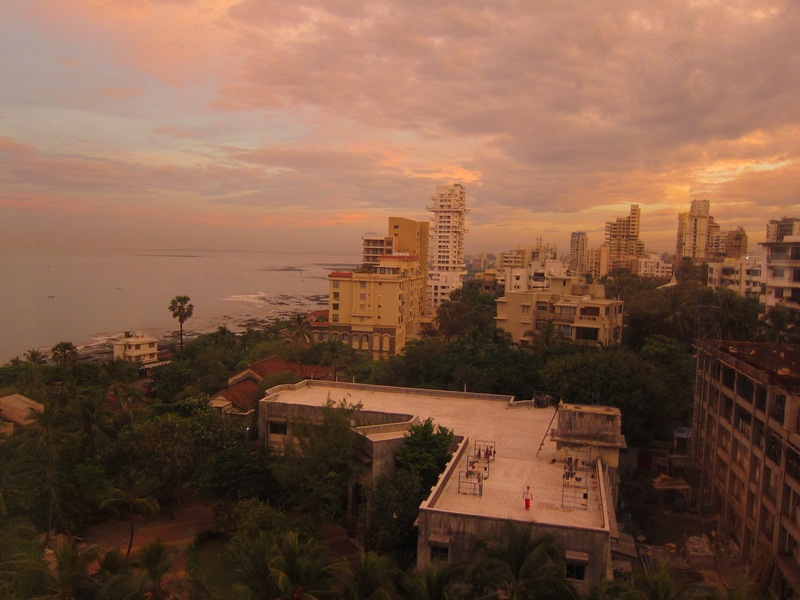 I just watched Eat Pray Love and will say that the scene when she is in the came and just arrived in India is exactly what it’s like. The drivers are crazy. I have a stomach of steel, but even I may have overdone it on the spicy food. 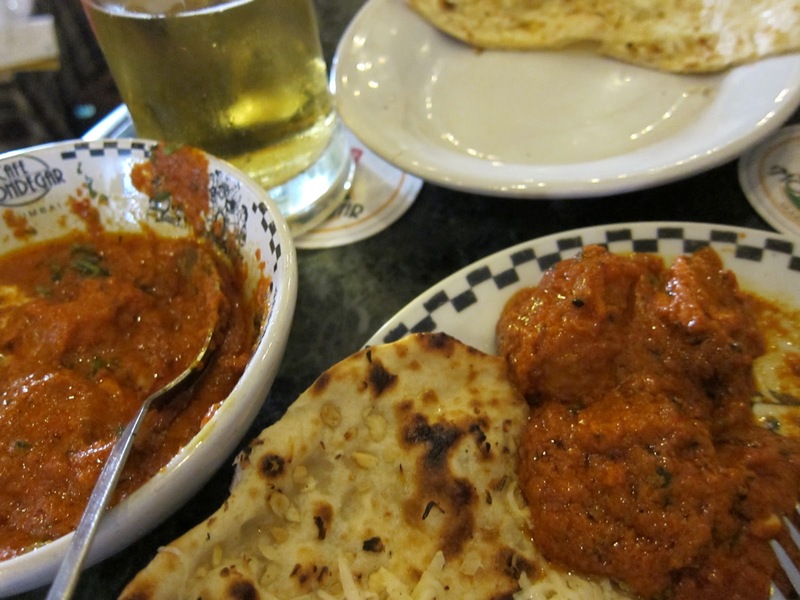 It may be some time before I can venture back into Indian cuisine. I had a hard time saying “no” even when my stomach was bothering me. I never wanted to miss out on trying something new. From the kebab at Badamiya behind the Taj Palace to Sashimi in the Taj palace. The world is so big and there are so many places to see, I have to admit, it may be some time before I make it back. And the only way I’ll travel there is business class now (I know, it sounds bad, but it’s the only way to go for a 15 hour flight). I hear the north area is great, and I would love to see the Taj Mahal (the real palace, not the hotel). And being in the place of the terrorist attacks was a bit scary. I see the WTC site, know what happened there, but there is something about eating at Cafe Leopold, being in the Taj Hotel, that makes it all very scary and real. This gives a good sense of what a rickshaw ride is like. Two short clips. The first is the Rickshaw moving along at a good pace, then slower as we encounter car and foot traffic. 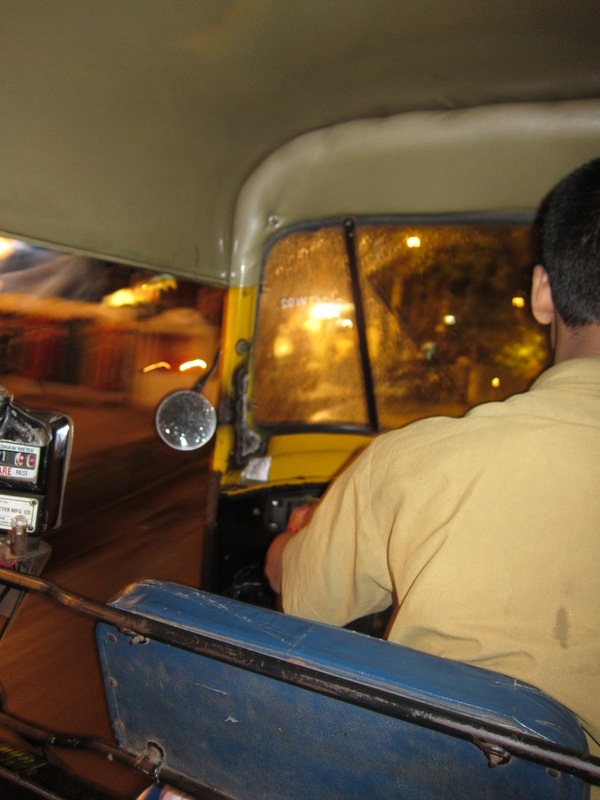 And yes, that is our rickshaw beeping [COMING]. And a few of my favorite shots. View from the Taj Mahal Lands End. 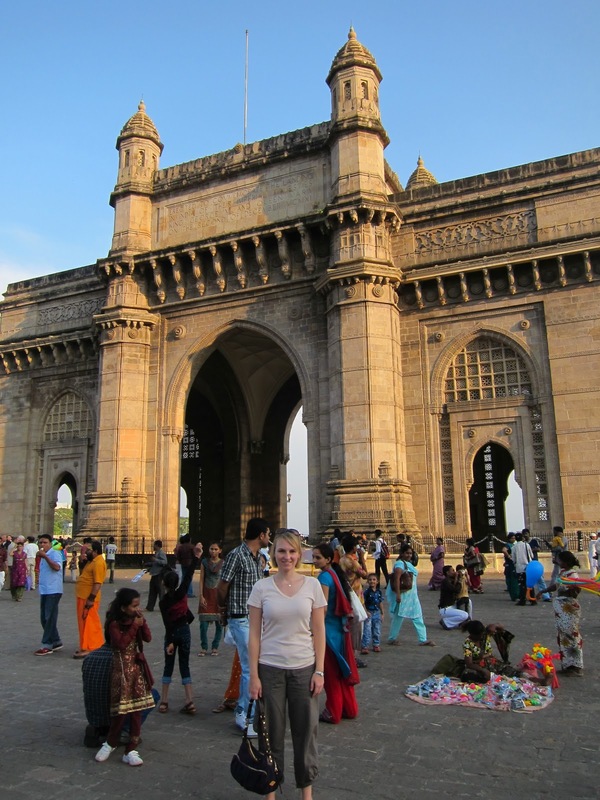 In front of the Gateway to India in Mumbai. 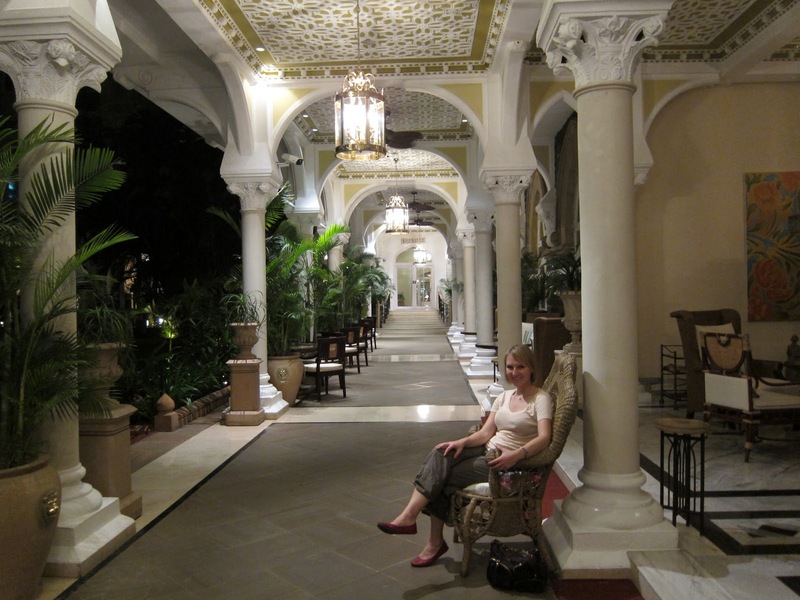 Inside the Taj Mahal Palace courtyard. And of course, I tried my fair share of food items. Lots of Indian! Though I did manage to get to the California Pizza Kitchen for my first lunch (started off easy on the food front) Then I dove right in. 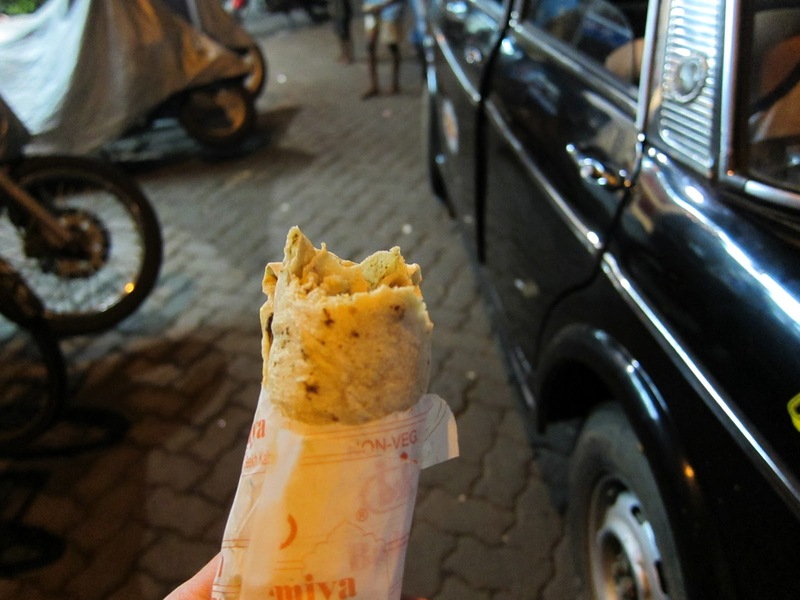 Street food, grilled corn, spicy eggs at breakfast, fruit I couldn’t identify…when in India, just go for it. 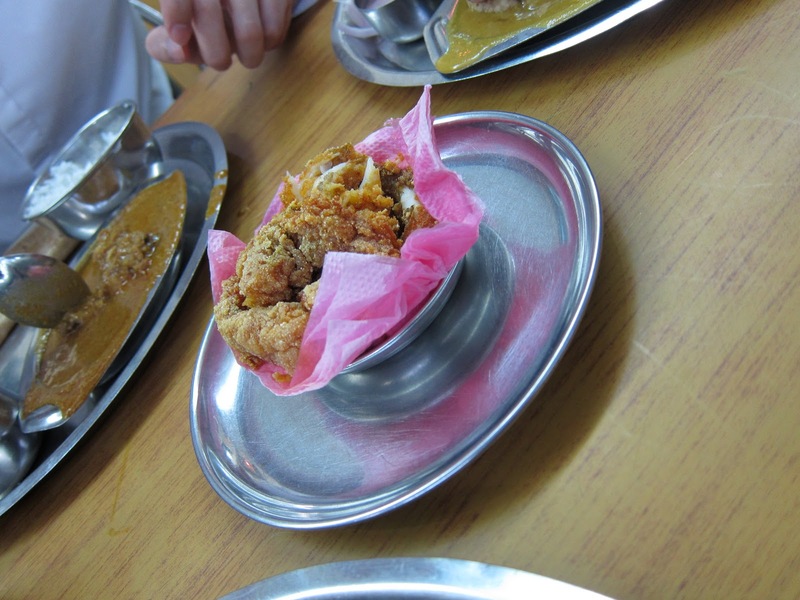 This is the chicken Sheekh Kebab from Badamiya behind the Taj Mahal hotel. Took a chance, but our driver recommended it after we asked him where we should go. The hotel concierge, Elton, said he used to go there late after hitting the clubs…We had two failed attempts (the first time we were too early and the 2nd we were thwarted by a downpour). But I finally got it! This is lunch at the friend fish place on my second day. Cafe Mondegar for lunch after Elephanta Island. 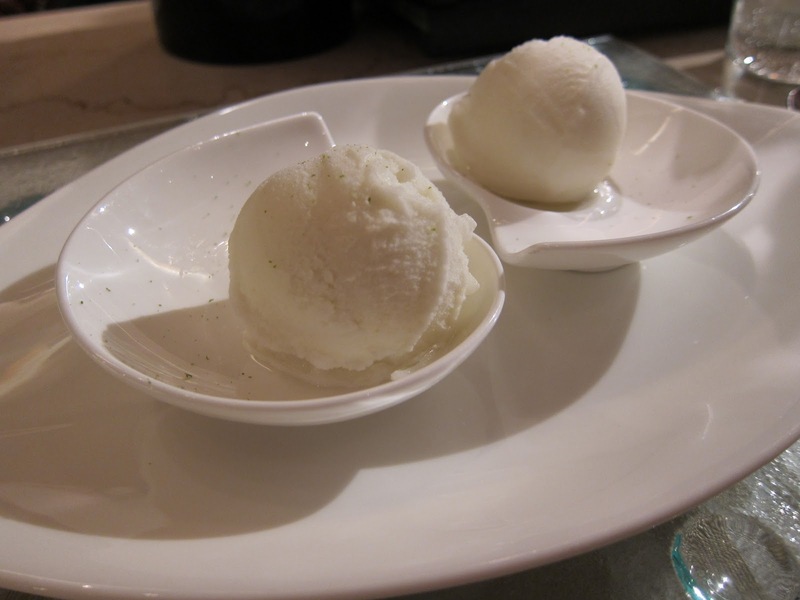 Wasabi Sherbet at Wasabit by Morimoto. Spicy and cold. All in all a great and interesting trip. Lots of food and lots of sights. It may be awhile until I’m back, but have many memories. Next > Holiday Time is Here! So great! Now I feel like I've been there!! !